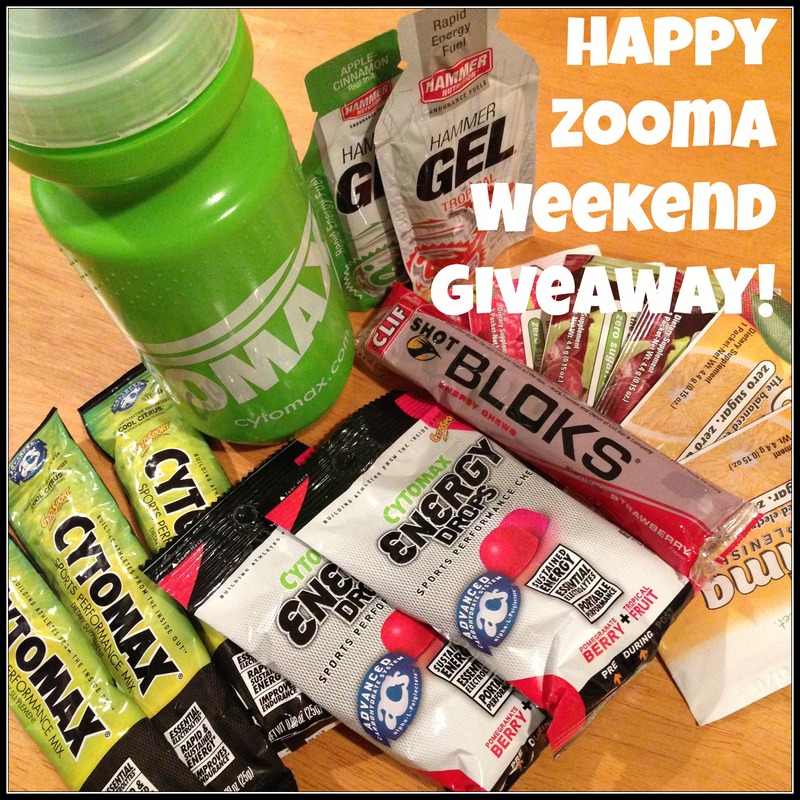 Zooma Cape Cod Weekend & a Giveaway! Tonight I’m headed to the Zooma Cape Cod Expo and Mocktail Party where I’ll get to meet some of the other race ambassadors before the race tomorrow morning! I’m really looking forward to the half marathon this weekend, I’ve heard such good things about the course and the Zooma after-race parties! 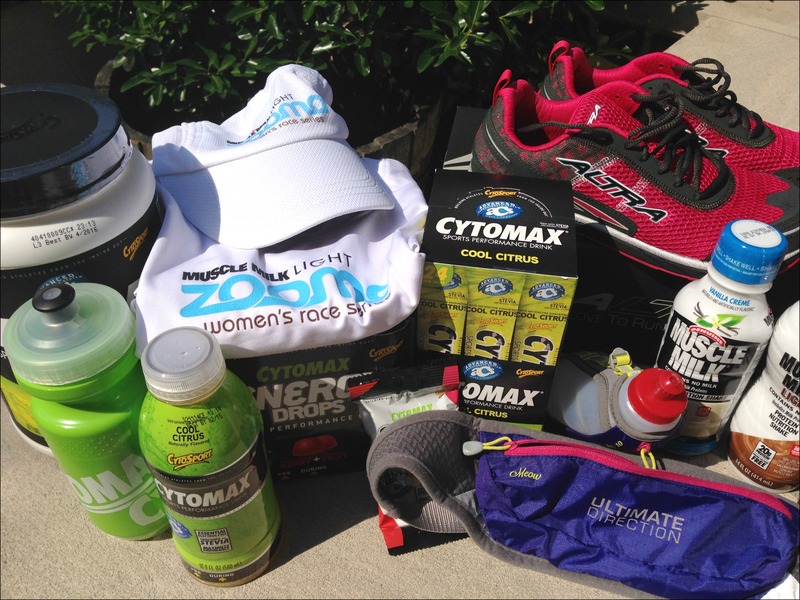 It’s been such a great experience being a Zooma Cape Cod ambassador – we’ve been very fortunate to be treated to some amazing products from all of the event sponsors! I had really planned on posting and reviewing each of them along the way (I don’t know about you, but I enjoy learning about new products from fellow runners and bloggers! ), but between moving and starting a new job this summer stuff just got a little hectic and I never quite got around to it. That being said, I have had the opportunity to try out a lot of great things and to celebrate Zooma Cape Cod weekend I want to share some of them with you! I’ve put together a package with samples of some of the products I’ve received (and hopefully I’ll have more to add from the expo!) and I’ll be sending it out to one lucky winner! Leave a comment letting me know what your favorite long run fuel is! 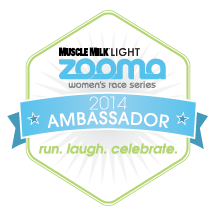 Disclaimer: As a Zooma ambassador I was given a complimentary entry for the Zooma Cape Cod half marathon and did receive products from the event sponsors. However, I was under no obligation to review any of the products or host this giveaway, I just thought it would be something fun to do! 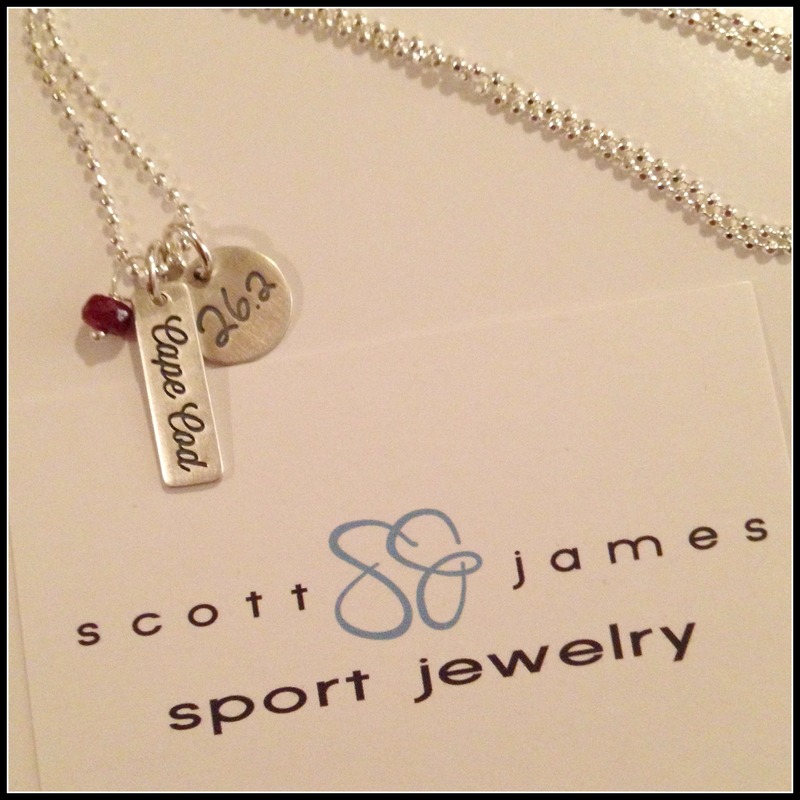 And don’t forget, if you’d like to order a custom piece of jewelry from Scott James Sport Jewelry you can use code DNARCC for free shipping on your order! First, how is your new job going? Are you settling in or are you settled in already? We both hope it is something that you are enjoying. Really nice necklace… How much? What is the 262#. Does he number each piece? Hi Patti, the job is going well so far. We still feel a little unsettled at the Cape since we’ve been so busy, looking forward to having a free weekend to finish getting unpacked and totally settled. The 26.2 on the necklace is the distance of a marathon! The necklaces are sort of like charm bracelets in that you can add whatever charms you want so they probably start around $40 and go up. My favorite long run fuel – is salted carmel gu! I’m usually not a GU person, but I’m still on the search for the salted watermelon to try! I follow you on twitter and facebook too! 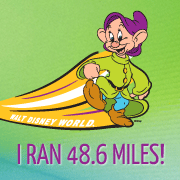 I’ve never needed long run fuel before… But I’m running my first half marathon in February! I’m excited! That’s great, good luck with your training and please stop by and let me know how it goes! Anyway, my favorite running fuel is Swedish Fish! I don’t eat candy much, but find the sugar and flavor are just right for long runs. Yum. And yes, I remember that you like Swedish Fish! I should actually try those on a run, I really like them! I think Shot Bloks were the first fuel I started using when I was running…I’ve since switched to the Sport Beans since I like the harder texture better! Clif Shot Bloks are my favorite long run fuel! Awesome, I used to use those too (I switched because I found a different product that I preferred the texture of). What product did you switch to? I use Honey Stinger chews and Sports Beans. I like the size and the texture of the Honey Stinger chews better than the books & the sports beans are just like jelly beans and come in a little resealable packet which is nice! Those sound great! I will have to be sure to try them out next time I’m at the store and find them. Thanks for passing that along! Be sure to enter this giveaway! And while you’re at it, be sure to follow this great blog as well! Hello Danielle and good luck on your race this weekend. I’ll be running my first 5K tomorrow morning. I’m excited but also nervous (newbie!). Since I haven’t run any real long distances yet I haven’t needed fuel but I’ve read about the different products available and look forward to trying a few. I just started following your blog and Instagram accounts. Thanks for all the great information, helpful tips and humor! Hi Shannon, first of all – good luck with your 5k tomorrow, I’d love to hear how it goes! So excited that your running journey is just beginning and I’m glad my blog posts have been helpful to you, I know how helpful reading other people’s blogs was for me when I was a new running so it really means a lot that I’m able to do the same for others! Hi Danielle, thank you for the words of encouragement. I did the race on Saturday and it was AWESOME! My only goal going into it was to finish in an upright position. Well, not only did I finish, I PRed! I totally didn’t expect that. The hubs thinks I’m crazy, but I’m totally hooked on running and can’t wait to sign up for my next race! Congrats on your half and you looked gorgeous in that dress for the wedding! I’m SO glad to hear your race went well! Congratulations and best of luck training for whatever you decided to take on next! I like the shot blocks. I didn’t even realize you had an instagram or FB page so going to follow both! I love Clif Shot Bloks. I had the strawberry ones during the Zooma Cape Cod run this weekend. I can’t wait to read your review! I follow you on all social media as well! (@NNNikkiNikNik). Very cool! I wanted to make it to Zooma Cape Cod this year but things have just been crazy! Maybe next year. Anyway, my favorite long run fuel is Salted Caramel Gu. It’s delicious and seems to work for me. I tend to go with Honey Stinger chews on long runs!